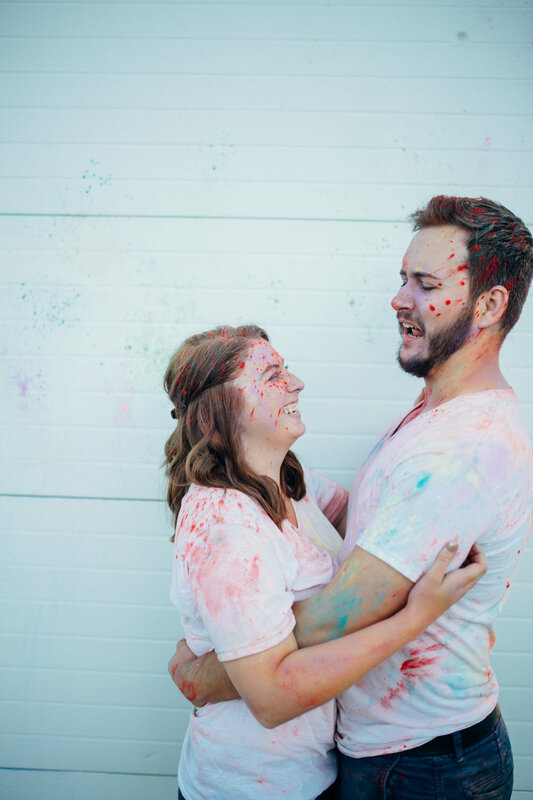 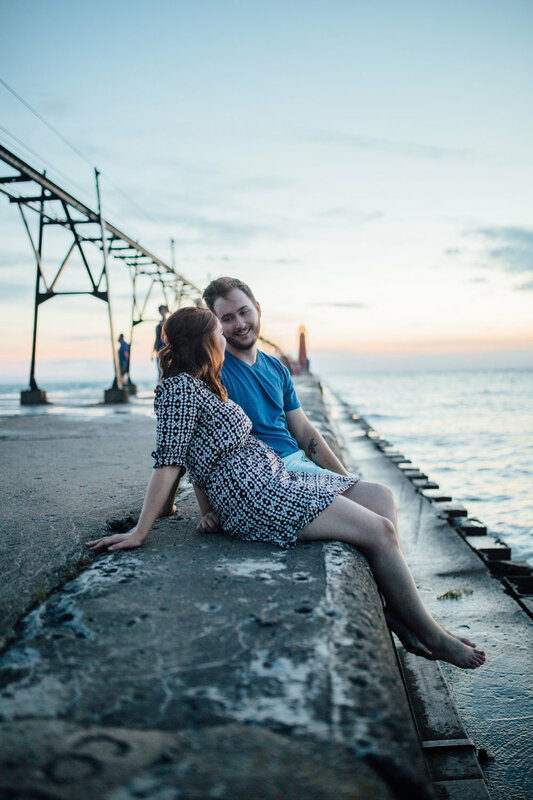 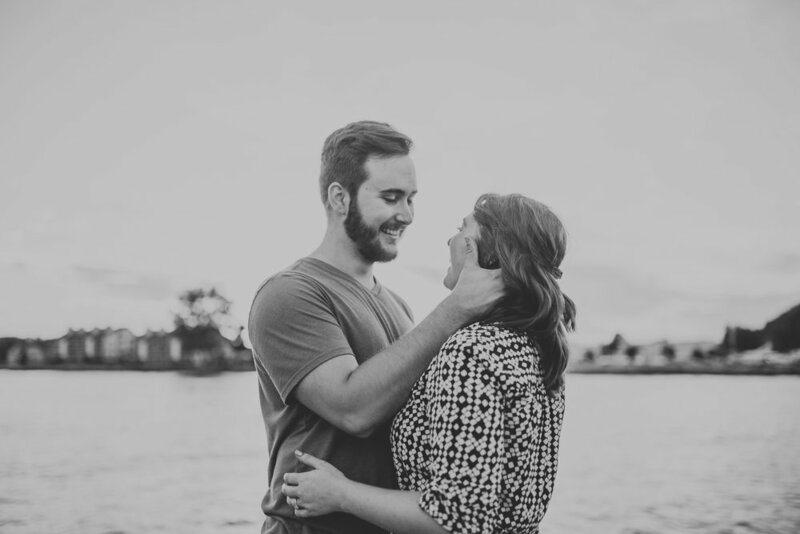 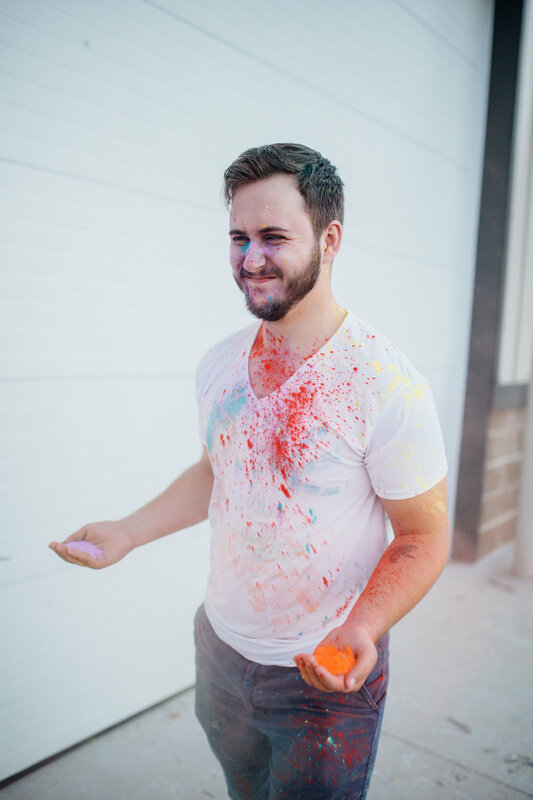 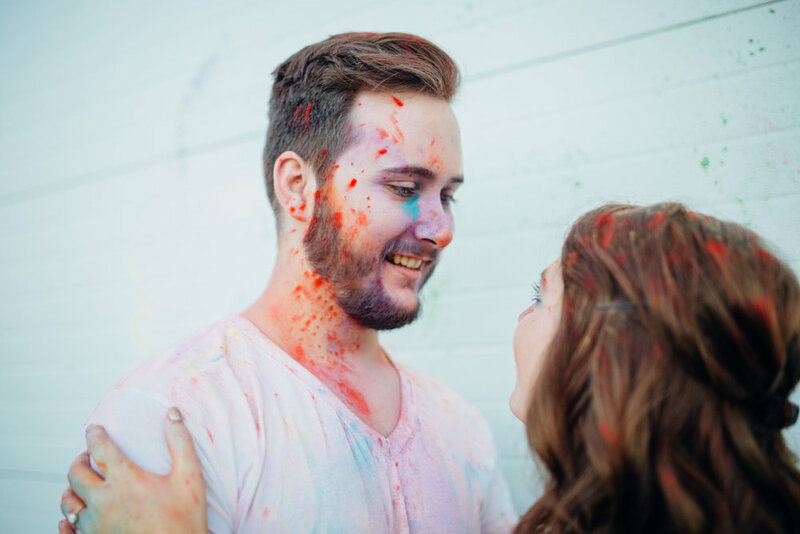 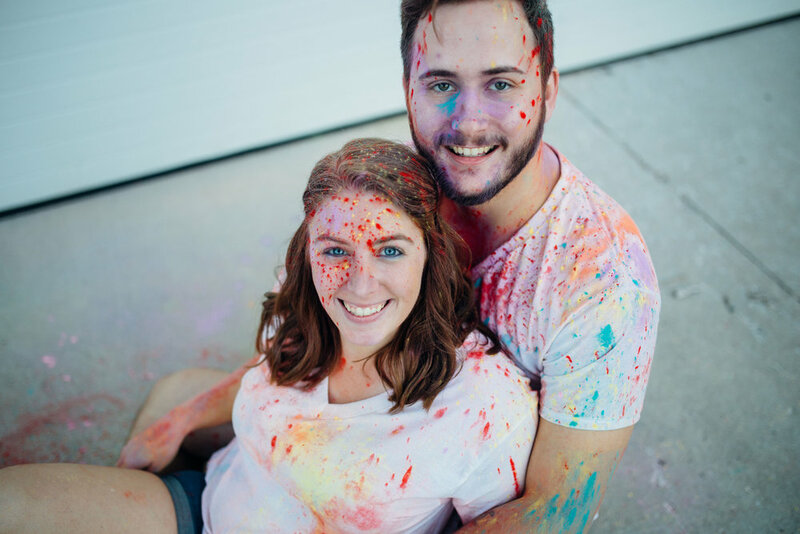 This fun filled engagement shoot was a blast to shoot! 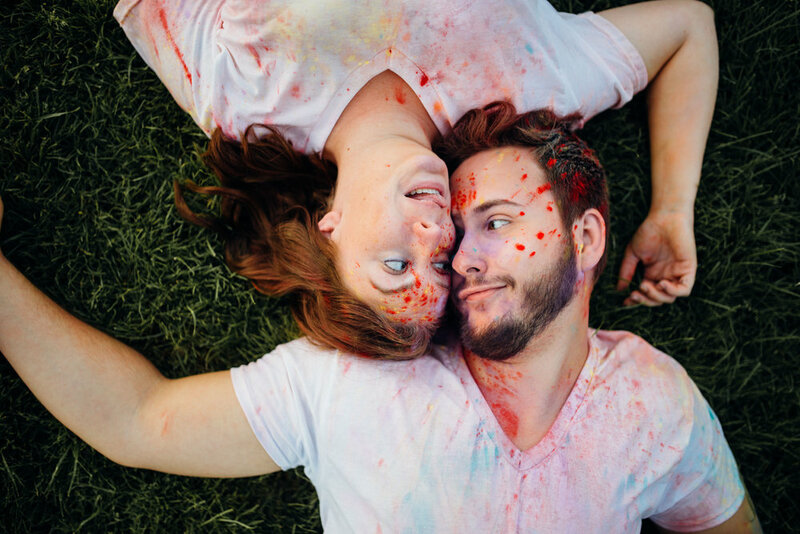 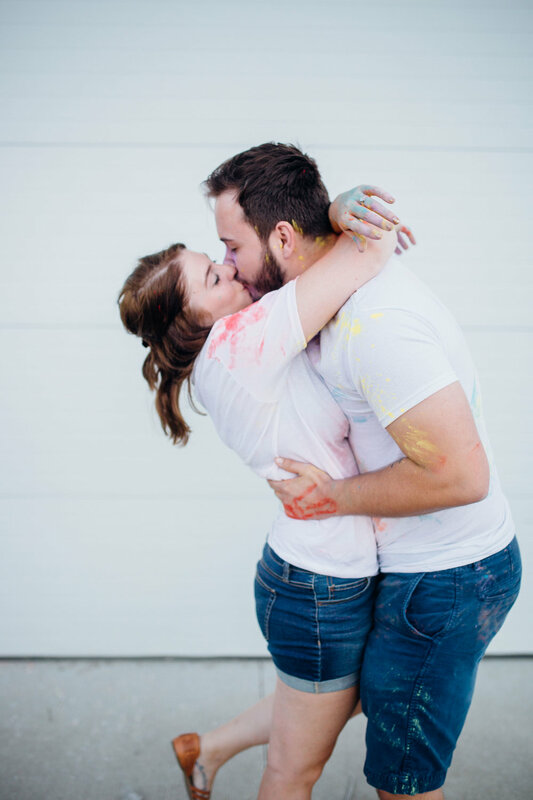 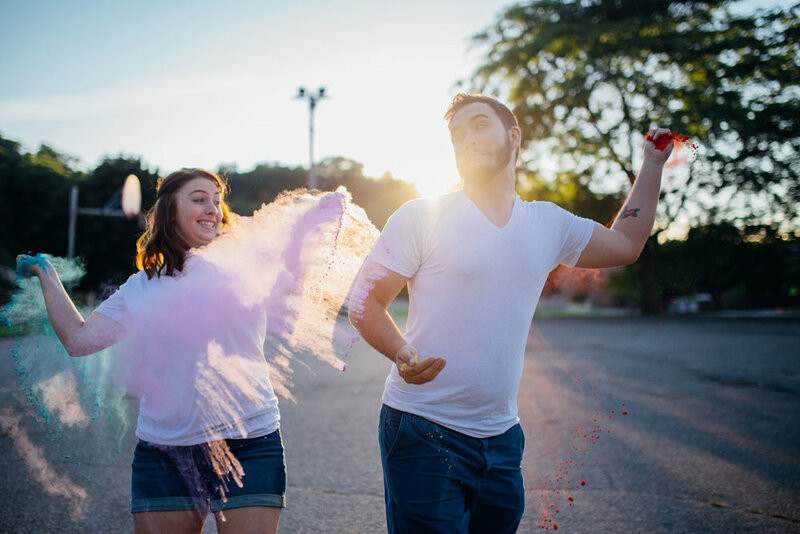 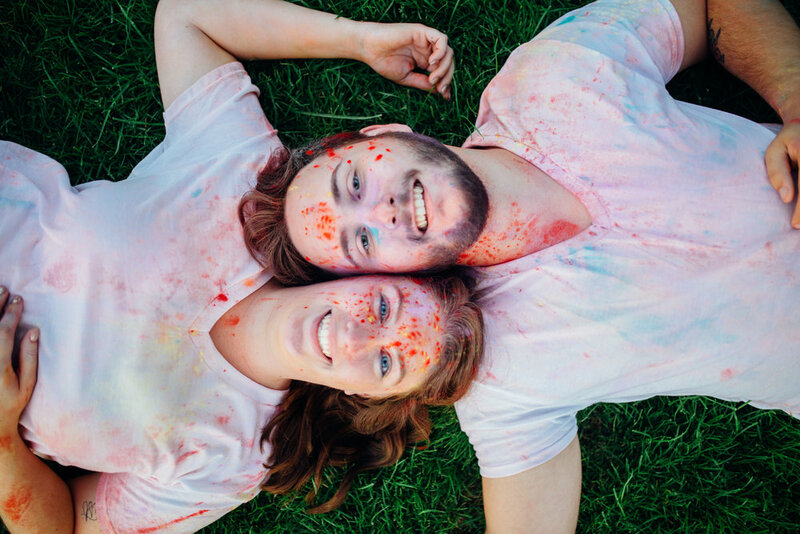 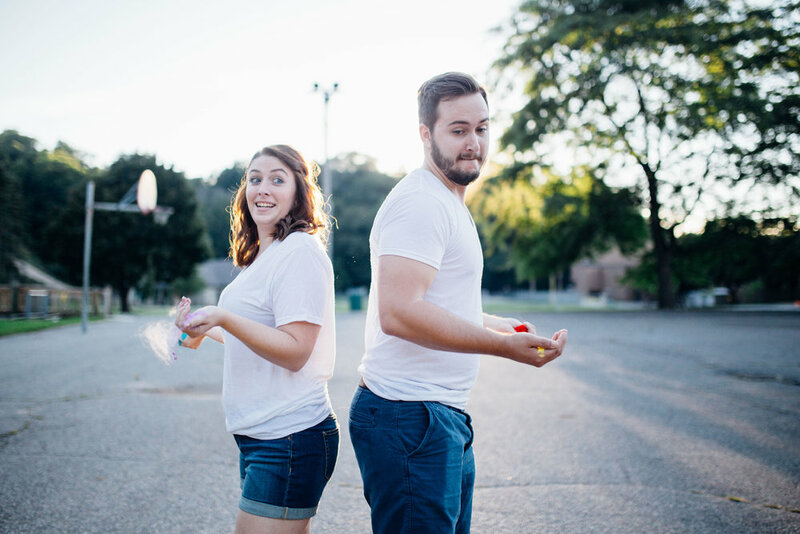 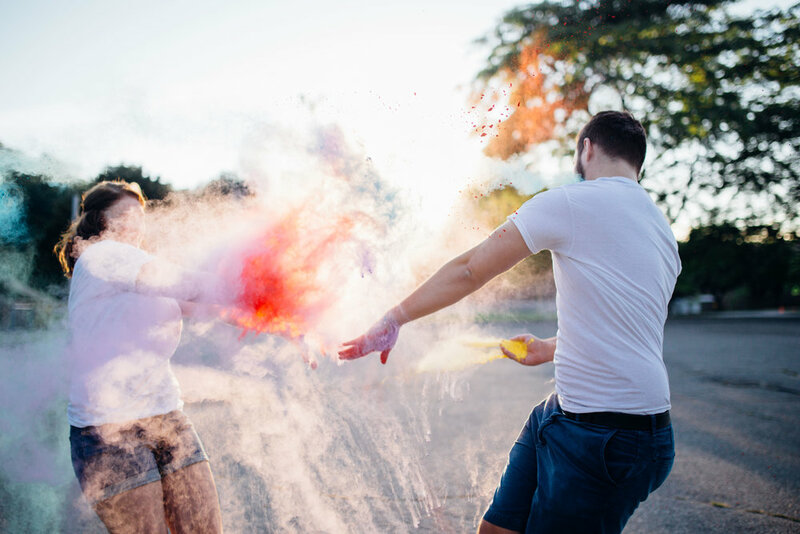 Becca and Josh held nothing back for this colorful and beautiful session. 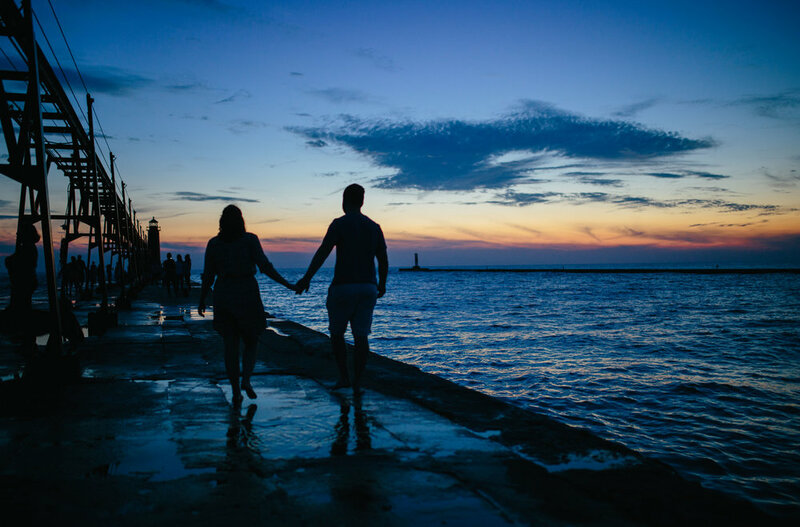 Hitting Grand Haven's pier for a nice sunset stroll after their big color battle. 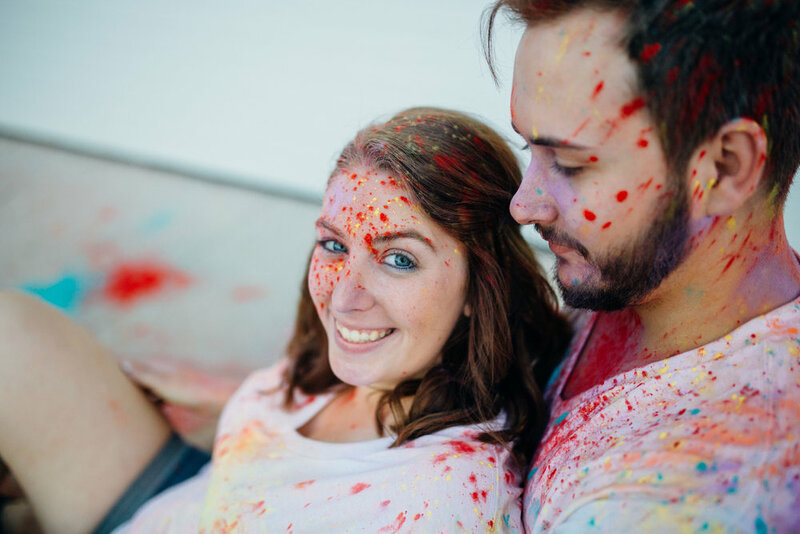 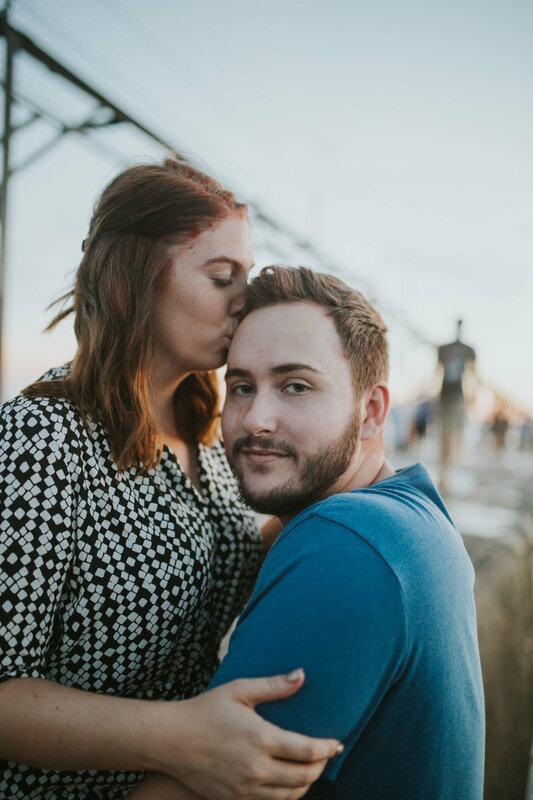 I love when couples bring some creative twist to their engagement photos!